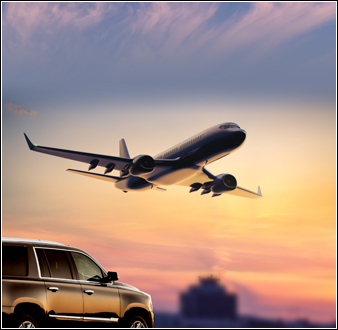 *Base price for luxury airport shuttle service does not include Suggested Gratuity, Fuel Surcharge, Bridge & Airport Toll, and License Fee. 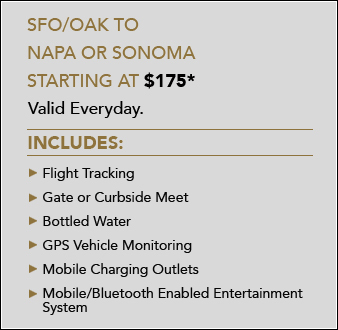 Save 10% on your wine tour and airport transfers, when you book round-trip transfers with at least one wine tour. Ask a customer service agent when you call.